In the 1920s, speakeasies cropped up to provide safe places for people to go drink, partake in revelry, and hide from the draconian laws of Prohibition. Today, the speakeasy tradition is alive and well in Idaho, with four awesome places keeping the revelry going into the 21st century. Read on for the best of the best. 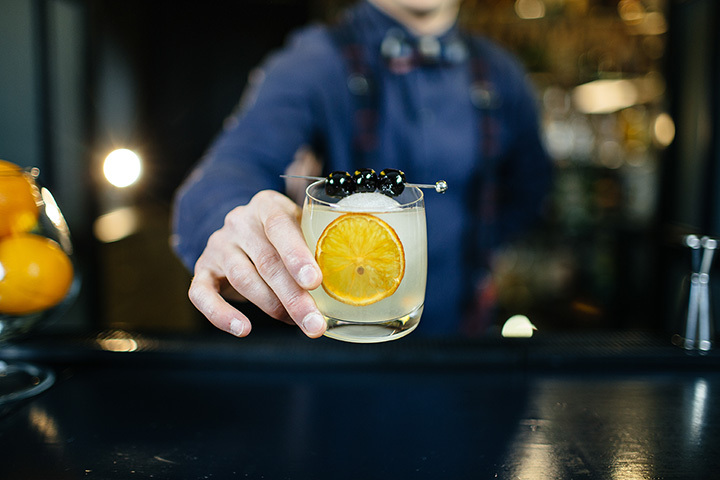 Press and Pony is a hip speakeasy in Boise, Idaho, that “calls on the adventurous and outlandish, those that crave innovation and sophistication in all things,” according to their website. They have an excellent two for one on all classic cocktails Happy House from 4 p.m. to 7 p.m. on Tuesday through Sunday and all-day Monday. The Red Feather Lounge “has been celebrating the modern American lounge since its opening in 2002.” They are inspired by the “eternal swank” of their “great lounge ancestors,” bringing to bear everything cool, hip, and fun. 10th Street Station has been the “home of the heavy pour since 1982.” This underground drinking establishment is located in the basement of the Historic Idanha Hotel and offers unique craft cocktails and a newly smoke free atmosphere. View more Idaho Bars and Saloons.